Our receptionist, Donna Butler, recently hosted the 2nd Annual Open Mic Fundraiser to benefit the American Foundation for Suicide Prevention. 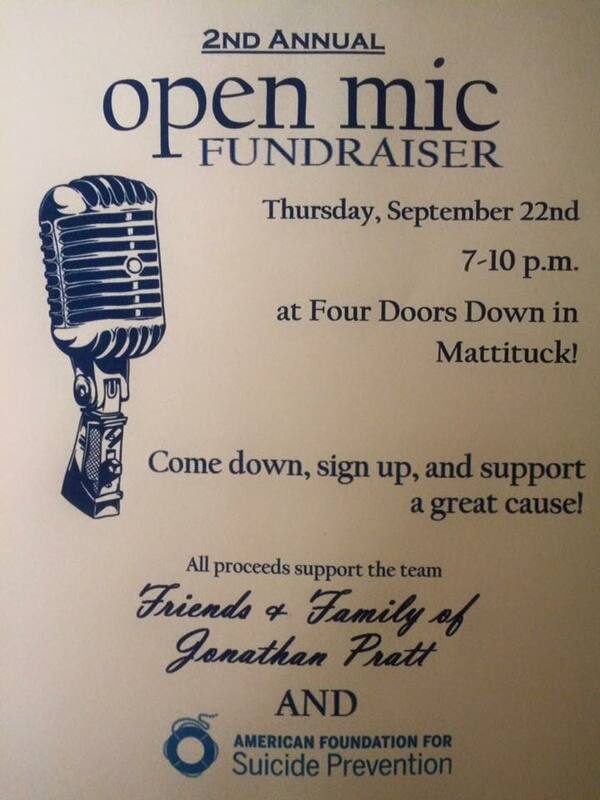 The fun event was held at Four Doors Down in Mattatuck on Thursday, September 22nd, and featured live music from local musicians, a Chinese auction and great friends! 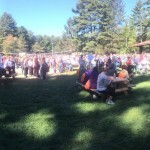 Proceeds from this fun event supported the team Friends and Family of Jonathan Pratt. 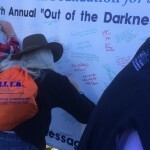 After the fundraiser on Thursday, September 22nd (which raised just over $1,000), Donna traveled to Saratoga, NY to participate in the Out of the Darkness Walk for R.I.T.A., walking with the team "The Friends and Family of Jonathan Pratt." 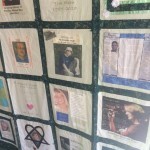 She has been attending annually since Jon's death in 2009. 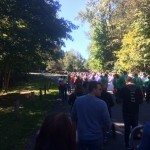 This year, the team collectively raised over $2,000, and donations are still coming in! 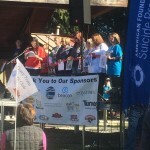 All proceeds to the AFSP go toward their goal to reduce the suicide rate 20% by the year 2025. Donna wants to express her gratitude to all of the local businesses and individuals who made the second-annual open mic fundraiser such a success. Next year's will be even bigger and better!